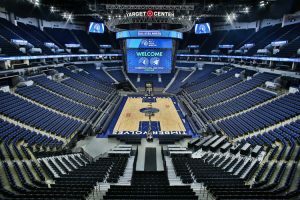 In Minneapolis, the Target Center is home to the Minnesota Timberwolves and Minnesota Lynx as well as many concerts and other events throughout the year. Recently undergoing renovations, the venue needed telescopic seating risers and demountable platforms. Our telescopic solution for them was our Telematic 100. These seating risers feature an unmatched level of deployment accuracy and are so solid that they feel like permanent seating. 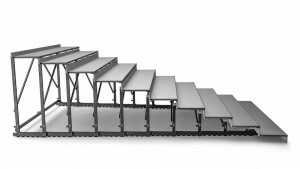 Our custom demountable platforms have also met the needs of the facility well. 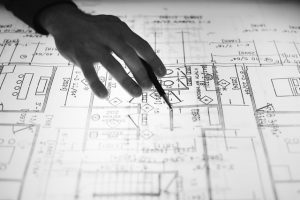 The main challenge they were facing that really prompted them to search for a new solution was the fact that their existing systems were worn out, outdated, and borderline unsafe. Because of this, they decided that a renovation project was needed. Though many factors went into their decision the number one driver was an improved fan experience. They wanted something better than the typical “bleacher” experience they had before. Therefore, the sturdiness of the platforms became important as they wanted to make their patron feel comfortable and safe. Even though the fan experience was most important to them, they knew that a good system would be a huge improvement for conversions as well. Being a busy building and supporting a permanent tenant and hosting other events from concerts to family shows, they were looking for a system that improved their operations to allow for faster, more efficient change-overs. The specific products that they decided to buy from StageRight to help meet their needs included the Telematic 100 Telescopic Seating System, portable seating platforms for the floor level close to the action for basketball, media overbuilds, and tables. We were able to take a custom approach and provide site specific products because every facility is different. Our engineers worked to design the systems for the space instead of just providing cookie cutter products and the results were very positive for the Target Center Staff and the fans from Minneapolis. After our team designed the products for the facility, it was time for delivery and installation. Our systems are assembled as much as they can be ahead of time to make the on-site installation time minimal. They’re also completely manufactured ahead of time which means that there’s no cutting or welding on site. This helps the Construction Manager maintain a solid schedule and open on time and on budget. The partially assembled, completely manufactured system was loaded on trucks and sent off towards Minneapolis. After arrival, our team worked to get it all installed. The installation was completed in an efficient manner and the customer was and is thrilled with the results. It’s a huge step forward in quality compared to what they had before and it’s truly an upgrade, not just an update. The system operates efficiently and blends well with all of the enhancements that are going on as part of a two-year renovation project for the entire facility. Custom projects are part of what we do with large facilities like this because they’re not one size fits all. Every facility has different needs and goals based on the events they host. 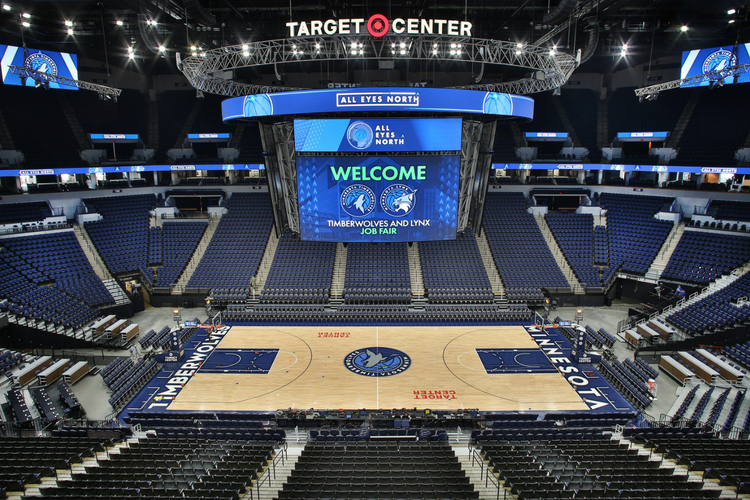 We want to thank the entire Target Center Team for trusting StageRight to deliver a seating system that will be an important part of their success for years to come. Over the upcoming months we’ll be sharing more stories about large venues that we’ve worked with and how some of the principles can apply to you. Make sure you subscribe today!